Is that a barong No Rome is wearing in his new music video? We see you lurking back there, Matt! In case you missed it, UK-based artist No Rome released the official music video to his track "Narcissist," off his EP RIP Indo Hisashi just a few days ago, and we must say, we can't stop watching it! 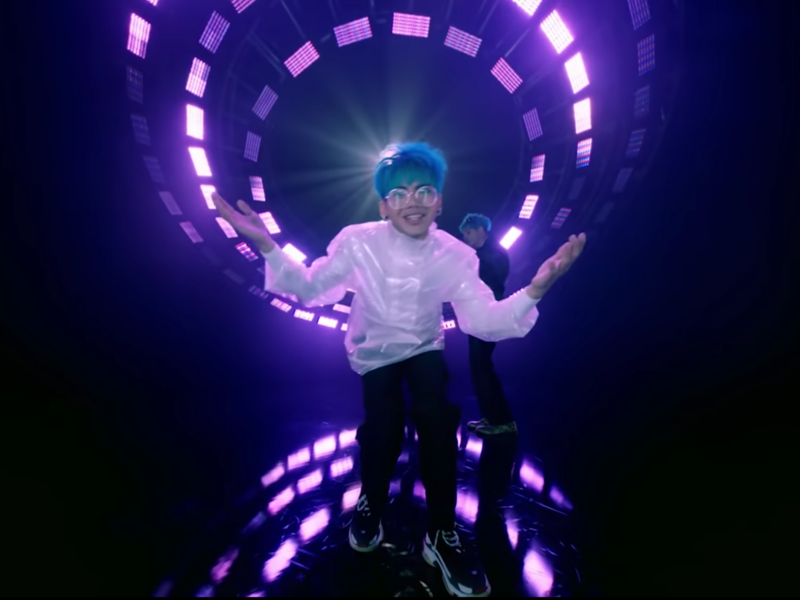 The video, directed by Adam Powell, shows Rome with his signature neon-colored hair chilling with The 1975 singer Matty Healy, as they both bust into a dance sequence that is probably boyband-inspired. Amidst the impressive light show and Rome's white throne, we noticed that one of his outfits is similar to the traditional barong Tagalog. Check out the video and see for yourself! No Rome will be tagging along all around the world with The 1975, who have recently announced their official UK and North American tour dates on their website. Let's hope they announce their Asia tour dates soon! What do you think of the video? Is it a barong or something else? Comment below!